The X-Bows was my first dive into the world of ergonomic keyboards, and while I didn’t necessarily come away a convert, I can definitely appreciate the niche-within-a-niche the product is catering to. Ergonomic keyboards have always been around, but they’ve rarely managed to escape their particular niche of the PC world. At some point, you’ve probably encountered someone using one and wondered how and why. The answer, like the name suggests, is that ergonomic keyboards are designed to minimize muscle strain and, consequently, reduce the possibility of incurring any long-term health costs for extensive keyboard use. However, somewhat-surprisingly, ergonomic keyboards designed for gamers have always been in short supply. Sure, there’s nothing really stopping you from playing games with an ergonomic keyboard. However, if you’re after an ergonomic keyboard with all the gaming-specific bells and whistles you’d get out of a Razer of HyperX mechanical, there aren’t a whole lot of options out there. Until the X-Bows Ergonomic Keyboard, that is. The X-Bows really leans into its pitch when it comes to aesthetics. 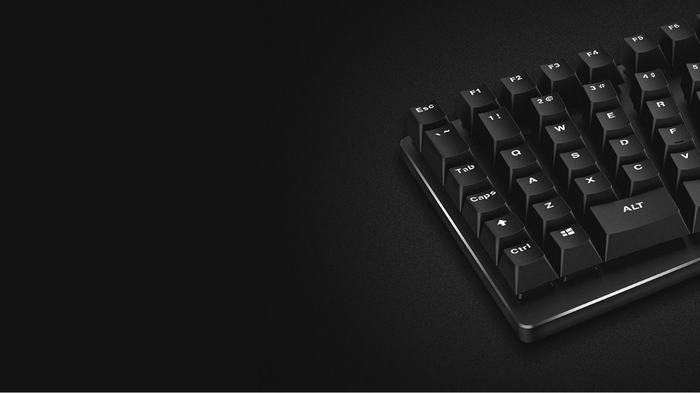 By design, and in execution, it’s a hybrid of the gaming and ergonomics keyboard worlds. It’s got a faint, swervey, 'V' shape that curves like an arrow towards the user, with an optional rubber wrist rest tucked in towards the bottom. 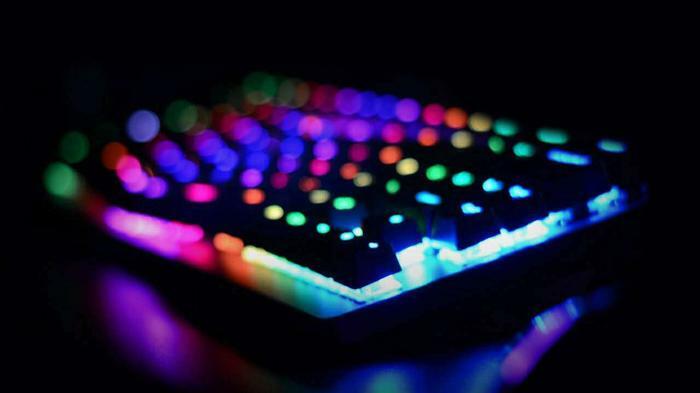 It feature Gateron mechanical key switches (available in Blue, Brown, Red and Black varieties) and customizable RGB Lighting with all the usual toggles. Unfortunately, while the X-Bows definitely ticks the right boxes here, I have to say that - after comparing it side-by-side with more mature RGB keyboards - the execution leave a little bit to be desired. Yes, in terms of customizability, the X-Bows' software kit includes all the options you’d like and expect to see. There are 15 preset movement patterns and individual key backlighting can also be set through the companion software. Unfortunately, in terms of the visible effect the illumination achieves, it just isn’t as cohesive and luminous as that found in some of the more-mature gaming keyboards options out there. The other thing worth considering is that the X-Bows' proprietary software means that you aren’t able to easily tie it into any existing RGB lighting products you already own. There’s no connectivity to ecosystems like Razer’s Chroma or ASUS’ Aurasync here. If there’s any other discernible disadvantage to this design, it’s that the X-Bows tends to become pretty filthy, pretty fast. Even over the relatively-short period of time I used it, both the X-Bows keyboard itself and the wrist-rest attached a gross surplus of hair, dead skin, dust and other microscopic detritus. This isn’t something unique to it, mind you. However, compared to more than a few of the other keyboards I’ve recently reviewed, the X-Bows felt like it lost its “new keyboard” shine a lot faster than I’d like. In terms of actually using the X-Bows ergonomic keyboard, I was surprised how quickly my hands adapted to the unconventional layout. Initially, the first few days were a little rough. My typing speed fell and typo frequency rose. Thankfully, after a few weeks with the X-Bow, I felt like I was making good progress. I was still making typos, but often because of my own tendency to overthink things rather than due to anything on the part of the X-Bow. Shifting back to a more traditional layout with Razer’s new Huntsman Elite did feel like handicap had been lifted from my hands. However, despite this, I’ve half a mind to try and return to the X-Bows and see how I fare with it over the long haul. Sure, it’s sometimes a challenge to use - but the kind I’m inspired enough to engage with and try to overcome. Another gripe I encountered was that, depending on what game I was playing, the usability of the X-Bows tended to vary greatly. For online shooters like Overwatch, which relied on a small set of core action keys (AWSD, shift and spacebar), the X-Bows was actually really intuitive and responsive to play with. 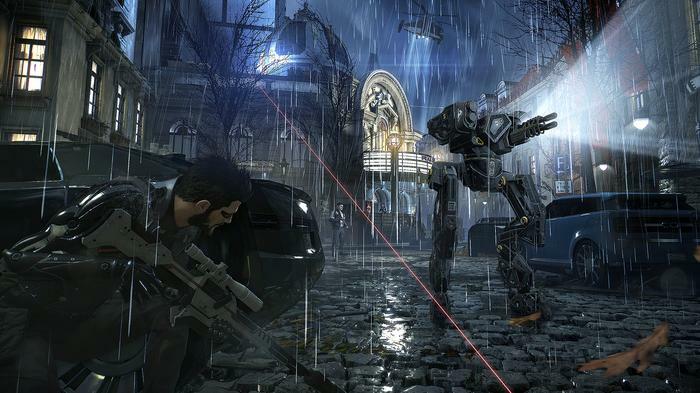 However, I can’t really say that I had quite the same experience when it came to game complex experiences like Deus Ex: Mankind Divided and Warframe.PC gamers have a whole keyboard of keys at their disposal and developers tend to make use of that, which can lead to some weird situations where important keys aren’t located in a place that’s at all convenient on the X-Bows. Obviously, I could just remap the keys - but, in terms of the out-of-box experience, this stood out to me as a key drawback. The X-Bow is an exciting and cool product. 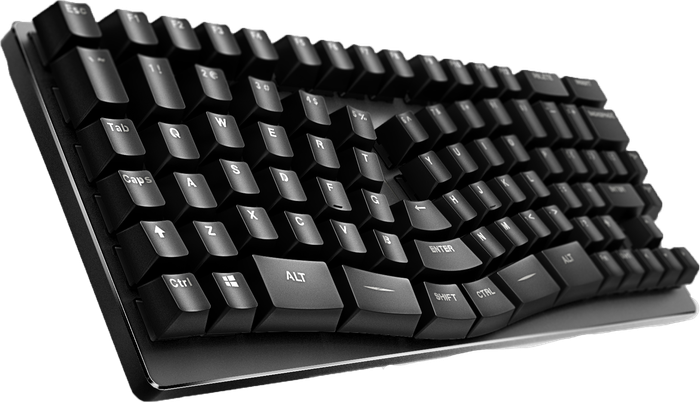 As someone who does a lot of typing and could definitely benefit from going ergonomic but doesn’t want to give up the perks that a gaming keyboard offers, it’s an appealing combination here. That said, I’m just not ready to make it my new normal just yet. Just like some games are better played on a controller than a keyboard, some games are better played on a traditional layout than an ergonomic one. The X-Bows is by design, an uber-niche product that isn’t going to be for everyone. Nevertheless, it’s one I’m determined to become a master of over time.